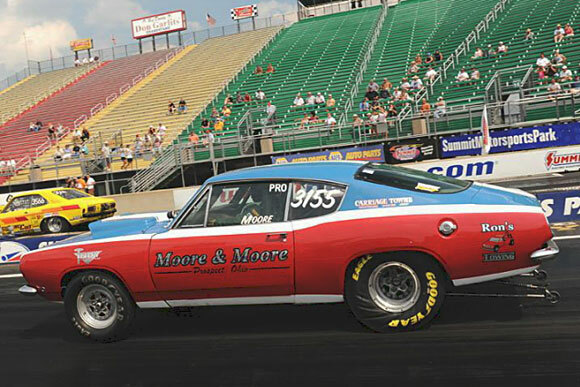 "Longtime Ohio racer Roger Moore has converted his SS/AA Hemi Barracuda to 1970 style Pro Stock trim. Though not an original BO23 car, Roger enjoys his seat time as a super consistent and winning racer. He and his son Jack campaign three Sox & Martin tribute cars including a 1971 'Cuda and a 1971 Duster." 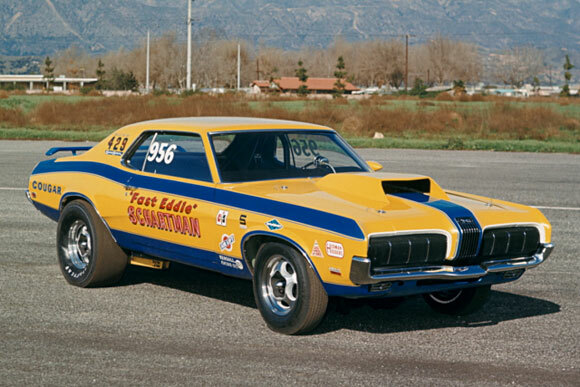 "This is Eddie Schartman's original Pro Stock Cougar, as seen in an outtake from a 1969 Jon Asher photo shoot. Missouri's Doug Herzog is the caretaker of this original piece of history (1 0f 2 Boss 429s built) and is building an exact replica for NNPSA competition with the help of racing partner Doug Daniels. Also on the jig for 2011 is a Boss 429 Maverick!" "Now this is what we're talkin' about! 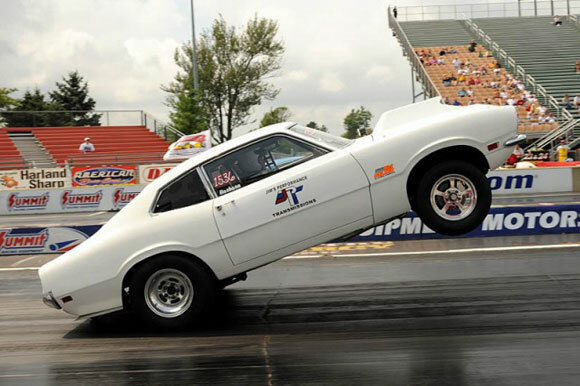 Gary Richmond of Ohio has converted his high flying 1970 Maverick from an IHRA B/Crate Motor racer to NNPSA specs. Here he is at our September, 2010 event, which made the cover of Drag Racing Online. The car is currently for sale, so watch for something even wilder from Gary down the road." "Michigan's Dan Timoszyk is the owner of this true piece of history. This 1971 Vega is basically un-restored and was a familiar sight at Englishtown and other east coasts tracks back in the seventies. 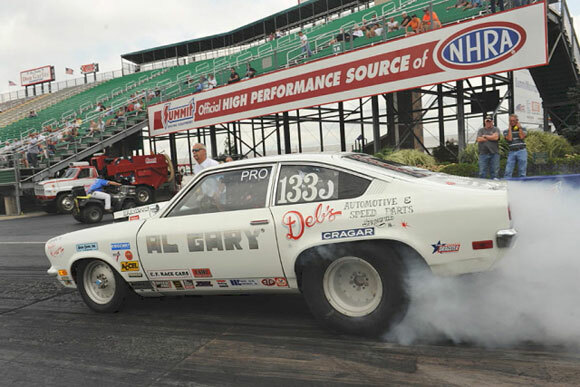 Campaigned by Al Davis, the car ran in D/Gas and in occasional Pro Stock match races. The original 1969 302 DZ drive train is still in place!" "Mike Loboda and son Shawn have been a fixture in Northern Ohio and on the United Manual Transmission Racers (UMTR) circuit with their gorgeous B/MP 1971 Duster. 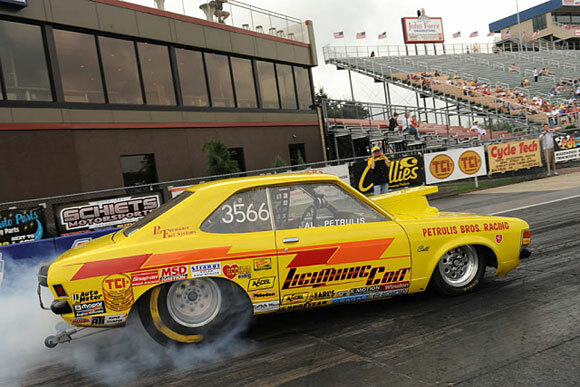 Mike has been instrumental in gathering support for Nostalgia Pro Stock and has even hosted his own events at Thompson Raceway Park. 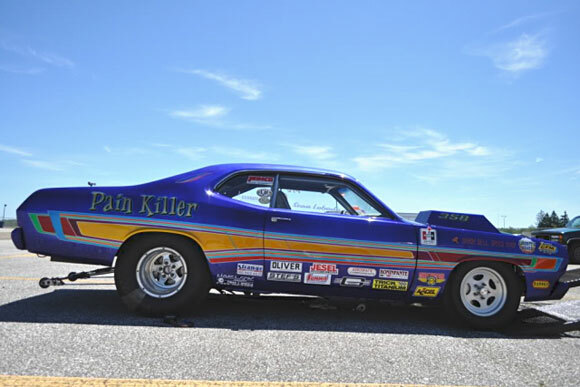 Watch for the "Pain Killer" to arrive in their factory 1974 Dodge Race Team transporter (1 of 6 ever built)." 1972 Dodge Colt, Al Petrulis, Michigan, originally built for Butch Leal, the "California Flash". 1972 Dodge Colt, Mark Panos, Utah, original owner. 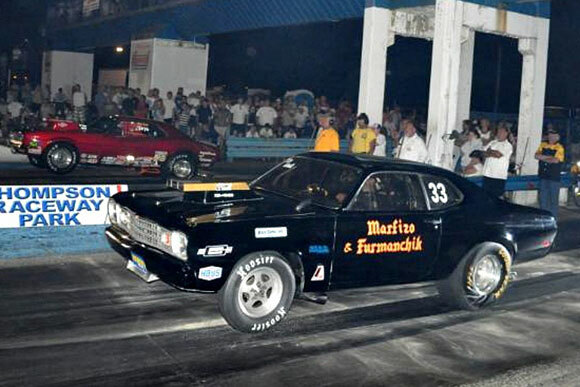 1973 Plymouth Duster, Marfizo & Furmanchik, original owner. 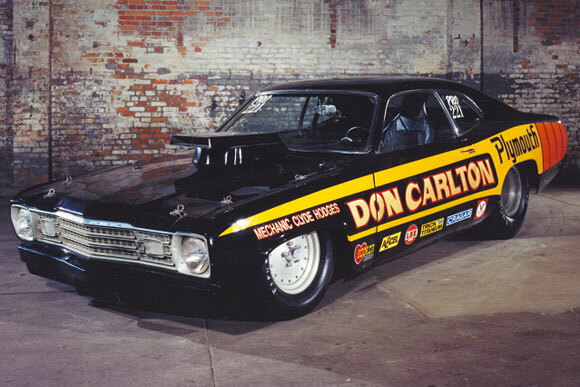 1973 Plymouth Duster, Arnie Klann, California, original Don Carlton W-2 lightweight development car. 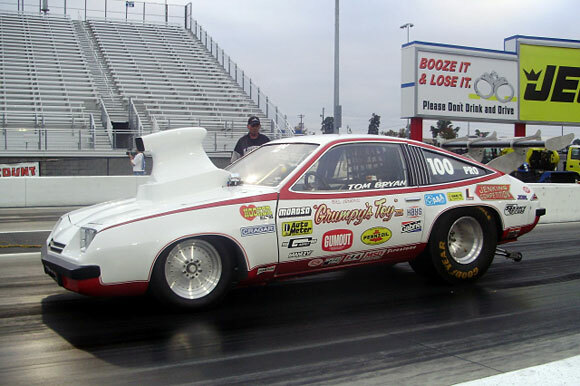 1975 Chevrolet Monza, Tom Bryan, New Jersey, original Bill Jenkins outlaw match race car. 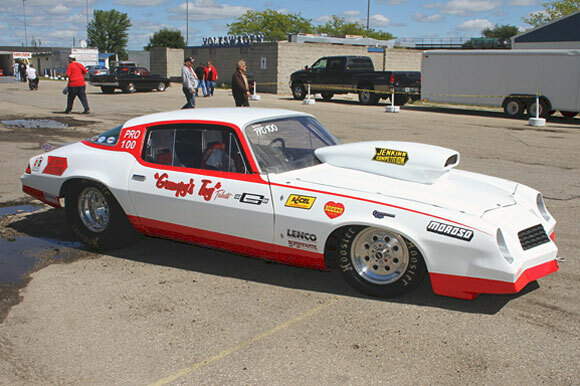 1976 Dodge Aspen, Mike Ricketts, Michigan, originally built by Don Carlton. 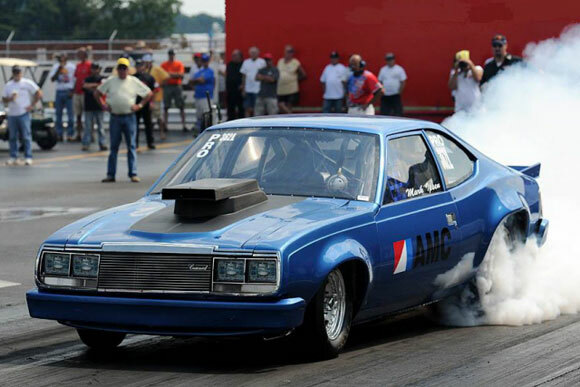 1979 AMC Concord, Mark Ipsen, Wisconsin, Wally Booth tribute car. 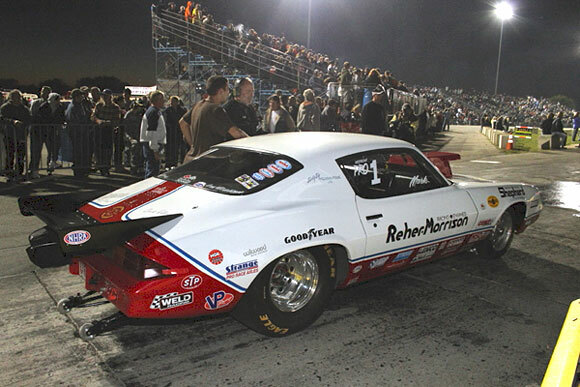 1981 Chevrolet Camaro, Mark Pappas, Illinois, Lee Shepherd tribute car built with assistance from Reher-Morrison power. 1981 Chevrolet Camaro, Mark Pappas, Illinois, Bill Jenkins tribute car.